Supersonic PMU System, Tattoo Machine Kit, Permanent Makeup Tattoo Machine, Tattoo Art - High quality Taiwan Supersonic PMU System, Tattoo Machine Kit, Permanent Makeup Tattoo Machine, Tattoo Art provides by Jean-Modern's Ind. Co., Ltd.
Ethereal - Concise - Swift - Exclusive Streamlined & Ethereal Design. New Supersonic device is designed in streamlined form with lightweight material. Entire device weight 35g only. Much easier handling and more comfortable control, helps users to create the most natural hair stroke. Supersonic provides innovative installation method. Easy assembling by only twist and buckle brings you more convenience for permanent makeup procedures. 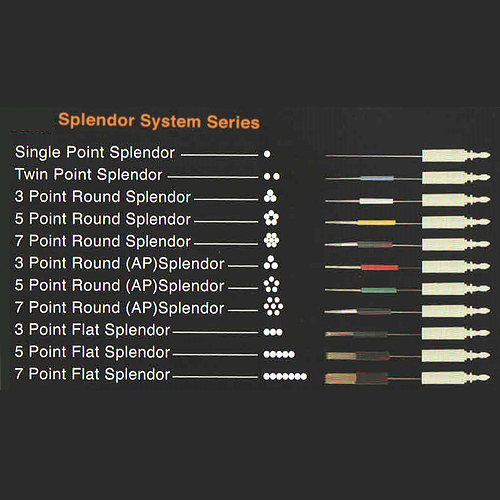 Supersonic has a patented Splendor needle system, which features built-in cushion to prevent backflow and cross contamination. Exclusive sheath design prevents physical contact to the needle during assembling, which develops a safer and more hygienic environment for permanent makeup treatment. AC Adapter: Connector of power port, in common use from 120V to 240V. Light Weight 35g only, lightest ever! World-class sophisticated & esthetic design-High efficiency. Patented built-in design, comfortable for operating. Innovative button for up to 10 adjustable speeds. Professional and Durable. Good Quality, Beautiful Appearance, Attractive design. OEM and ODM service provided. Permanent Makeup Tattoo Machine Kit, Disposables Needle. Needle Caps, Tattoo Pigment, Needle Sleeve and Needle Tube are Packed Individually.